The other side of the coin of new technologies: the government watching over us, ignoring our privacy. 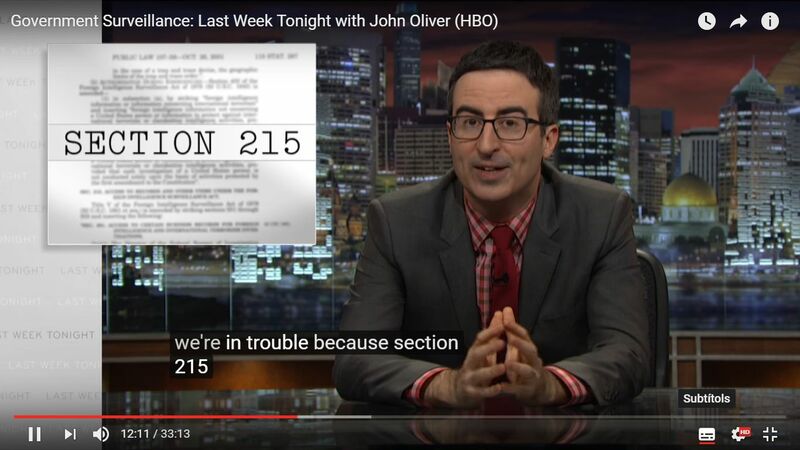 Remember John Oliver has a very particular sense of humour. This entry was posted in 2 Unit, FUNNY, SOCIAL ISSUES, VIDEO. Bookmark the permalink.